Hello, a warm welcome to my LIVE PSYCHIC READING SERVICE. 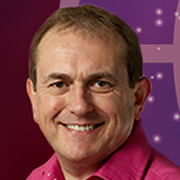 Wherever you are you can call 24/7 to book an exclusive LIVE ONE-to-ONE READING with one of my special and inspirational team using Astrology, Pyschic, Tarot, Clairvoyant, Clairsentient, Clairaudient, and Medium techniques either speaking on the phone, paying by card on a call back, or online with a WebCam Psychic Reading. My team of specialists are here to genuinely help and provide expert and caring support. 1-to-1 Psychic Readings are available from my valued team of Live Psychics and Astrologers, 24/7, worldwide. A one to one Psychic Reading, can offer you telling insights, which can help you to make the right choices and decisions at crucial times of your life. 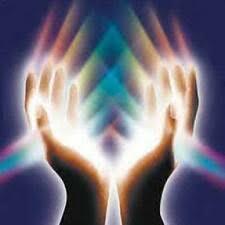 The intimacy of a 1-2-1 Psychic Reading, is something which really can provide untold benefits. What makes this 1 to 1 Psychic Readings service so unique, is that if you choose you can see live on WebCam, the person you want to choose from my team. So rather than an inanimate photograph, which might be dated, or not very clear, you can see on your screen, exactly who to speak with. By seeing the person live, you can see their eyes, and gauge their personality. You can hear their voice, all before you decide who to choose to have a 1-to-1 Psychic reading with. This makes the process so much more special to you, for it is like being in the same room as the psychic or astrologer that you are talking to. This process of 1-to-1 Psychic reading intimacy is increased further more by the fact that a Video Psychic will take you into their private room. NO-ONE else can see or hear your reading, for it is 100% private and confidential. All you need to do this is a pair of computer headphones, which cost as little as £5.00 and off you go. So, why not try out a 1-2-1 Psychic reading with my team of skilled readers? Be it Video Psychic or Telephone Psychic reading, they are available at all times, day and night, with support, guidance and wisdom. Thank you for reading. ‘When you say psychic, many people have an image of an old woman in a gown with a crystal ball. They don't associate themselves with that’. ‘The implication is that we hope that there is some influence we can tap into. It's kicking against the randomness of things’. ‘Sometimes people who say, 'I knew something bad would happen', are just inveterate worriers anyway, and they are pleased to have finally been proved right’. So, are well over half the population of the UK psychic, or simply pessimistic? Which seems most likely to you?